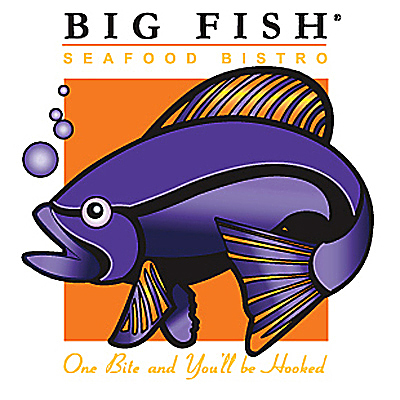 For Valentine’s day this year, I decided to take Erin out to Big Fish in Dearborn. While it’s been several years since I’ve been able to make it to Big Fish, I’ve tried to get to a Muer restaurant (be in Meriweather’s, Gandy Dancer, or any of the affiliated Muer restaurants (Rocky’s, Kruse and Muer)) as often as possible. The quality of food and service at the Muer restaurants is some of the best to be had in metro Detroit, or so I thought. After a fair amount of build up, I can happily say that neither of us were disappointed when it came to the food at Big Fish. Unfortunately, the same cannot be said for our service. Our server for the evening, Kyle B, was less than satisfactory. To begin with, he took an exceedingly long time between his visits to our table when we first arrived. Secondly, he seemed much more interested in taking care of the other tables around us. At one point, he was just about to set our bread basket down at our table, literally a foot away from doing so, when he looked at another table, turned around and set it back on his tray so that he could go to their table and make sure everything looked alright. In addition, he seemed to be attempting to make friendly conversation and build a rapport with the guests sitting around us, however, he wasted no such time on us. He went so far as to talk about the Friends Dining Club with one couple and talked to another couple at length about travelling. Not only was he not friendly, he seemed to be very aloof. Outside of just getting our order, I don't think he said more than two words to us the entire evening. It gave me the impression that as we appeared younger than the people around us, he just didn't care about our level of service. Finally, the thing that really put a black spot on my evening, and did the most to lessen my chances of returning, he picked up our bill before we had even walked out of the restaurant. Not only did he pick it up while we were putting our coats on at the table, he opened it to look at the tip we gave him. He might as well have just said "you look like cheap jerks". Even after the previous issues, we still left him an over 15% tip. In hindsight, he deserved much less. While I will stress again that the food was wonderful, the level of service was extremely poor, and is something I will definitely consider before returning to a Muer restaurant in the future. A few days later I submitted my comments regarding our evening to Big Fish’s “Guest Comments” on their web site. 4 days later I received a response from William at Landry's Restaurants. Landry's purchased Big Fish from the Muer restaurant group sometime after Charley Muer was lost at sea. Instead of actually commenting in ANY WAY on my issue, the email was a canned response asking for my phone number so we could speak in person. 3 days later, on February 22nd, I replied with my phone number. As of this post (March 25th), I have still not heard from anyone at Landry's via phone or email. The worst part about this whole affair is that the food was really good. However, with the service we received and the shoddy attempt at doing anything to correct it by Landry’s, I don’t think I can see myself ever returning to Big Fish or EVER visiting a Landry’s restaurant in the future. I even went so far as to share these thoughts on Yelp. This is a perfect example of a situation that could have been fixed with minimal effort but was botched so horribly, it’s irrevocably left a mark on me. Oh well, not it’s like I like going out to eat or doing anything food related.